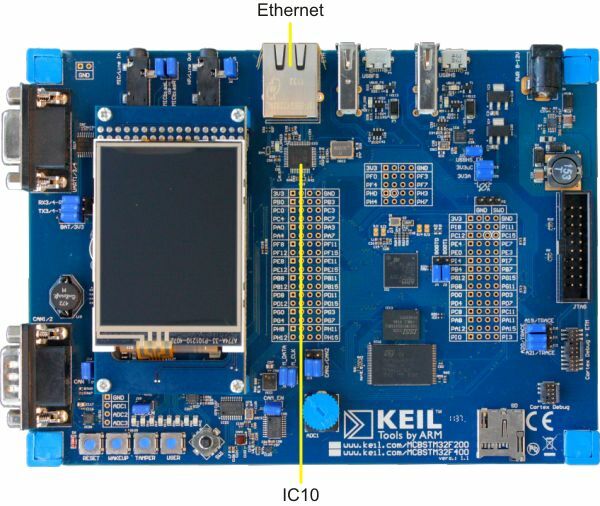 The Ethernet Interface on the MCBSTM32F200 board consists of a 10/100 Ethernet PHY transceiver. For Version 1.1 Boards, IC10 is a STMicroelectronics ST802RT1A. For Version 1.2 Boards, IC10 is a Micrel KSZ8081RNA.